If this journey starts to feel like a teeter-totter ride with all its ups and downs, I do apologize and honestly can say that I wish it was different! Ava had that great day on Friday, but then didn’t have as good of a day on Saturday and then when I came in on Sunday she didn’t look great at all. She was breathing really fast and didn’t have any energy and so I went and found someone to tell me what the Dr had said on rounds as I had missed it. Well they hadn’t said much about her fluid balance, but when I had our nurse check it for me, Ava was quite positive (retaining fluid). So I went and found the Fellow (Dr) who was on for the day to ask if we could give her an extra dose of lasix as Ava does not like to be fluid over-loaded . Unfortunately this Dr didn’t know Ava and hadn’t examined her so she didn’t think that giving Ava extra lasix was in the plan, and was kinda being a pickle about it, even when I explained that when they had switched things to give her lasix less frequently, it was with the stipulation that if she needed more they would give her an extra dose. Now I know Ava and I know what she needs so I found myself getting a little frustrated that this Dr wasn’t listening to me, but just at that moment, the staff Dr who I had thought had gone home for the day came up to us while we were talking, asked what was up and when I explained the situation he said right away to give her another dose of lasix! Phew… it was so nice to be heard. But Ava still wasn’t great this morning when I saw her, and the team had quite the discussion about her on rounds today. 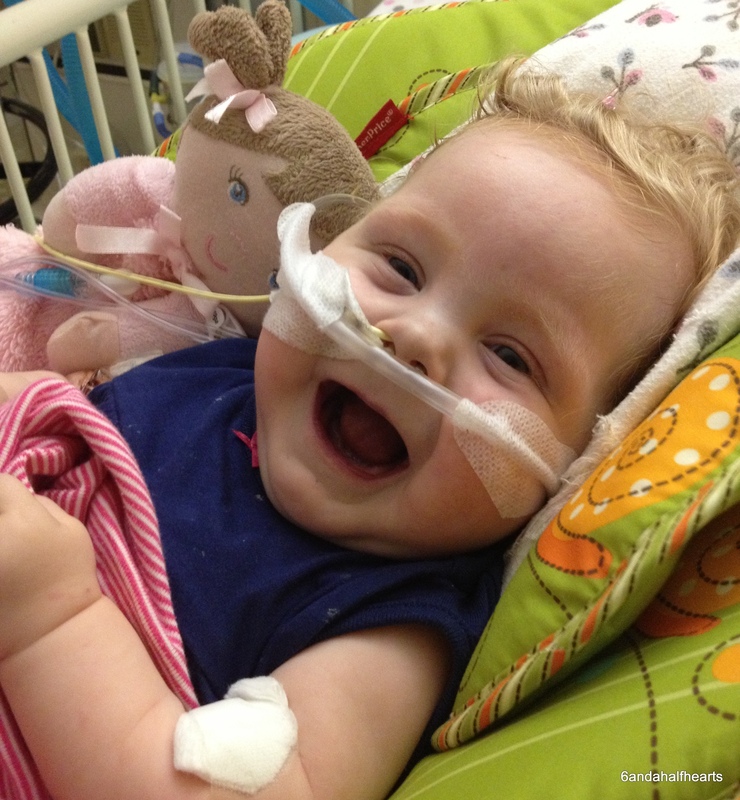 Ava was still positive – fluid overloaded – but she’s maxed out her lasix dose. She doesn’t look puffy but it seems that the fluid is there, just not where it should be. So they did give her a dose of metolazone – another diuretic that works with the lasix to help get rid of some of the fluid, but they were hesitating as they don’t want to dry her out too much. But since this fluid balance thing just isn’t getting better, they decided to go up on her IV heart meds – milrinone. This is kinda scary because there are only 3 doses of milrinone they ever give… .33, .66 and .99. So Ava was on .33 and is now on .66 – her heart is just getting worse all the time and I don’t like the fact that we were only on the smaller dose for a such a short time before having to move up. So I asked the Dr if Ava was running out of time in her wait for a new heart, but he reassured me that there is always another drug they can give her, which I didn’t really find all that reassuring. 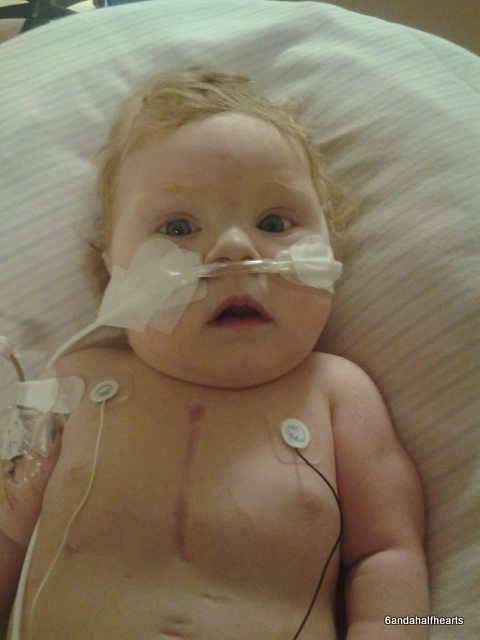 But I guess it’s all a part of buying time until Ava’s heart comes in, so we keep waiting and doing what we gotta do. But something cool happened tonight. 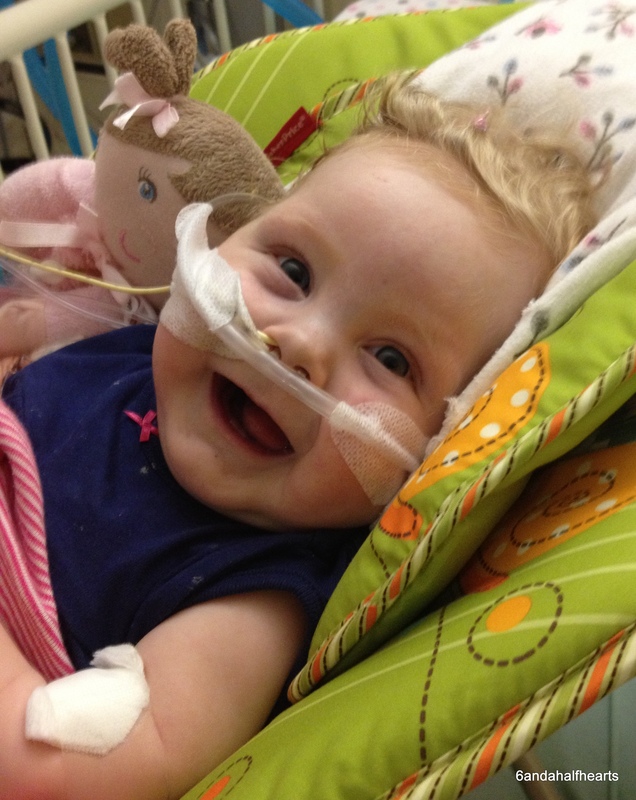 We are also followed by the PACT team, the advanced care team at Sick Kids, just in case it gets to the point where Ava won’t be able to hold on till her heart arrives. They are very kind and when they found out that we’ve didn’t have a family picture with Ava, they arranged for a professional photographer to come to the hospital so we could get some pictures of our family. What a huge blessing. Huge. Isn’t God good? So we got dressed up as best we could tonight and had some pictures done, it was pretty amazing. So we can honestly say that even though this journey is a crazy teeter-totter and a very stressful one to boot, no matter what hurdles we face, God is going before us and meeting our needs like we could never imagine. It still doesn’t mean it’s fun, or not painful, but at least we know who we can put our trust in and He’s never let us down. I can’t wait to get the picture back of our sweet little girl!